Facebook announced Thursday that it will begin to prioritize posts in the News Feed from friends and family over public content and posts from publishers. It will also move away from using "time spent" on the platform as a metric of success and will instead focus on "engagement" with content, such as comments. Why it matters: Facebook is the most widely-used news and information platform in the world; almost half of Americans rely on it for news. These changes will significantly impact the way people around the world receive and distribute information, possibly limiting the spread of fake news. Moving forward, Facebook will prioritize "posts that spark conversations and meaningful interactions" between people. Pages will still remain in the News Feed, but they will likely see their reach, video watch time and referral traffic decrease. Facebook Head of Product Adam Mosseri‏ says the move is more about valuing stories that facilitate meaningful interactions between people. The change will completely shift the publishing landscape, to the disadvantage of publishers that rely on the tech giant for traffic. But, but, but: Facebook Journalism Project lead Campbell Brown told publishers in an email that the change will not affect links to publisher content shared by friends. 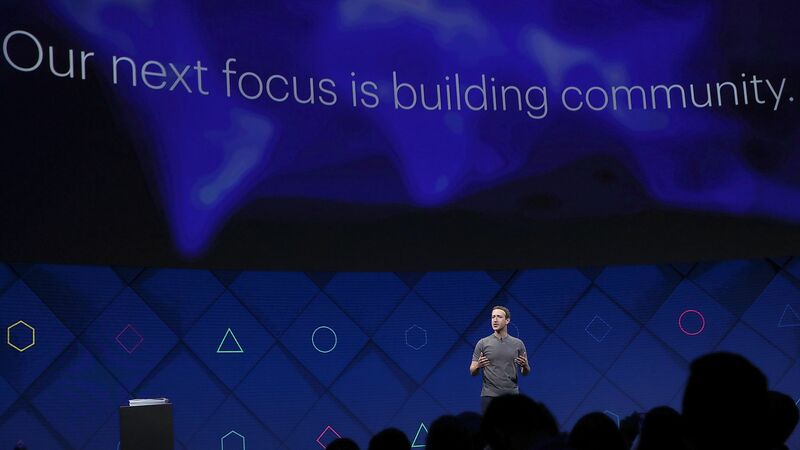 In the short term, this will cause a tsunami of changes for everyone: Facebook, publishers, advertisers, investors, etc. In the long term, it will force the entire digital ecosystem to focus on building meaningful relationships with consumers instead of click-bait. Audiences vs. traffic, as The Verge's Casey Newton puts it. "My initial reaction is it appears organic reach is finally moving toward zero," says Rich Greenfield, Media Analyst at BTIG. "Zuckerberg is basically telling brands you either need to spark a meaningful, engaging conversation with your content — or spend ad dollars to reach consumers in the News Feed. "It puts tremendous pressure/focus on great storytelling." Most Americans admit to using Facebook for news, yet many say it's the platform that they trust the least as a source for news. As BuzzFeed's Craig Silverman points out, the platform is not being used in the way its founder had envisioned, which Zuckerberg made clear to investors in his opening statement on his last earnings call. The move to shift away from "time spent" as a metric for success is likely a response to that revelation, as it will force users to spend less time "passively scrolling" and more time facilitating conversations. Traffic patterns show that Facebook has been planning a pivot to "meaningful engagement" for months. The tech giant created the "Facebook Journalism Project" to mend its broken relationships with publishers a year ago, in anticipation of strategy changes. It has been trying to convert premium publishers to its separate "Watch" video content tab since last year. Executives have repeatedly told investors that News Feed inventory was becoming saturated, leading to slower ad load, and that they would focus on shifting publishers to video-based partnerships instead. Publishers, specifically those that rely on Facebook for the majority of their traffic, will probably be hit hardest by these changes in the short term. However, most premium publishers have a healthy balance of traffic referrals across the ecosystem, according to a study from Parse.ly that measures referral traffic for medium to large-sized vetted publishers. This is especially true for some of the larger, most established players that have diversified revenue models and traffic referral strategies. Upstart publishers that have leaned on Facebook for audience in the past few years might be uniquely affected by the change, according to Parse.ly CTO Andrew Montalenti. Facebook has seen younger audiences flock to Snapchatand other apps because they don’t feel a sense of intimacy with close connections and they don’t feel empowered to participate in meaningful conversations. Until now, Facebook tried to acquire or copy competitorsthat innovated towards meaning. Now, it’s taking a step to ensure users don’t abandon a platform that unintentionally got away from its mission. This will create a new wave of publishers and technology focused on direct-to-consumer interactions. Expect artificial intelligence and chatbots to gain more traction as brands and publishers try to figure out the best ways to facilitate meaningful conversation and engagement. Publishers will pivot away from meaningless short-form video, because the update will weed out publisher video from the News Feed if it doesn't drive meaningful conversations. Expect instead for publishers to invest in quality, on-demand video on Facebook Watch.